There's a vast space between reading and harping incessantly about useful, interesting new information and formally presenting it to a group of paying attendees. Well, at least, that's how it is for me. Although confident that I already had the finest of resources on Social CRM (thanks to Twitter, no less) the pressure of delivery (and delivering) still was a matter that needed to be resolved. 1. 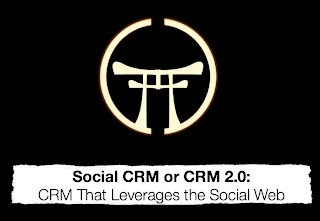 I reminded myself to focus on one particular idea on what I believed Social CRM is ultimately about. Repeat: Customer Engagement Strategy. 2. Prepared speaker' notes, which was subjected to continuous edits even to the last few hours before my scheduled presentation. 3. Read and follow the tips from Presentation Zen! Great resource for those who will be doing Powerpoint or Keynote presentations. But then again, everything's easier said than done. Oh, and a bit of stage fright, plus Murphy's Law (sudden inability to use my prepared notes and the spotlight directed on my face) didn't help either. For one thing, the light actually caused mental blocks and I'm pretty sure that I staggered during those opening slides. I knew I had to dig deep to be able to recover and not waste the audience' time. How? I breathed and felt present in the moment. So much for eye contact but then again, I honestly tried. So how did I fare? I'd leave that to my mates who were there but deep down I believe, there's a lot of room for improvement. However, I'm willing to do this over again - which brings us to another solution I missed pointing out. Believing in your topic material. Plenty of thanks to the social crm gurus - whose names I listed on the slides deck - for upload soon, from whom I got much of my insights and content as well.